Russian President Vladimir Putin said Russia will use its presidency in the G20 to strengthen the voice of the developing economies and change the International Monetary Fund’s (IMF) role. 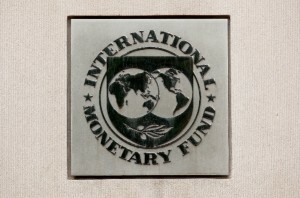 “The IMF needs a thorough reform. This view is shared by all the shareholders of the Fund. The problem is that the IMF frequently fails to keep pace with the rapidly changing situation in global financial markets, first of all, when making efficient and timely decisions” President Putin said in an interview with RIA Novosti. “Their implementation leaves much to be desired as well. A good example is the global financial crisis, which the IMF system failed to prevent,” added Putin. “We should be talking about the Fund’s overall reorganisation, ways to adjust it to current economic realities. And here it is most important to revise the existing IMF quota and voting system, to enhance the role of developing countries, including our BRICS partners,” Putin said. The president also stressed that the IMF represents only a part of the global financial architecture reform. “Other priorities include lending and public debt management policy, as well as enhanced collaboration between regional financial mechanisms and the IMF,” Putin said. In the meantime the finance ministers of the BRICS countries are gearing up to work out the structural details of the BRICS Bank that should be ready by the summit of G20 leaders, which is scheduled to be held this September in Saint Petersburg. This year Russia holds the rotating presidency of the G20, and in 2014 it will lead the G8.